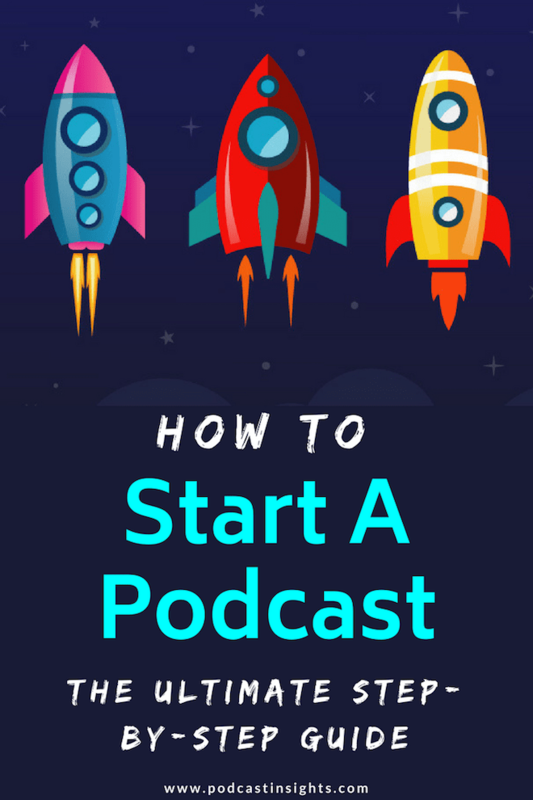 Starting a podcast isn’t difficult, but there are a number of steps you’ll need to go through in order to put it out to the world. Podcasting is a much less crowded and competitive space than blogging, making now the perfect time to get started. There are just over 600K podcasts, but over 440 million blogs! This is the initial stage (that is often overlooked) of getting a podcast off the ground. You’ll want to spend a good amount of time here before you move on. Feel free to get out a notebook or a whiteboard so you can start planning your podcast like a pro. You want your podcast to be focused on a particular topic or niche. Try to narrow it down to something you can speak about for many episodes (100+) but that isn’t so broad that you won’t appeal to your potential audience. For example, instead of having an “outdoor” podcast, talk about hiking – or even more specific, like hiking 14ers. You can always expand your topic later as you get more popular. Important: see the section about choosing a name to make sure you don’t limit yourself. Do have a friend, business partner, or coworker that you want to co-host with? It can be much easier to start podcasting if you have a co-host. You will naturally have a more engaging conversation if you both share your points of view on a topic. It can also be helpful to have someone to keep things on track. Plus, you can split additional tasks of editing, promoting, and more. There can be downsides though. You’ll want to make sure both of you committed to it for the long term. And it helps to set a schedule from the beginning so you know when you will be recording every week. There aren’t rules here though. If your co-host drops off, you could still continue the podcast without them. Or you could start solo and add a co-host later. If you look at the top Apple Podcasts charts, you’ll see a variety of different names. Some are descriptive of what the show is about, while others don’t mean much. I’m actually going to seemingly contradict what I said earlier: You want to choose a name that is broader than your topic. Using the hiking example earlier, if we choose “The 14er Cast” as our name, what happens when we want to talk about backpacking & ultralight camping too? Instead, choose a name that will let you expand if you decide to later. Maybe “Mountain Adventures (Above & Below 14K ft)” would work as it gives a hint to hiking 14ers but gives you the option to talk about all kinds of stuff if you want. I just came up with that as I was writing this, I’m sure you could do better! Action Step: Purchase a domain name (opens in a new tab) for your podcast. Another option is to get a free domain name with a Bluehost web hosting plan. You can search right here on this page – try it out! I also have some more tips on choosing a domain name here if you want. 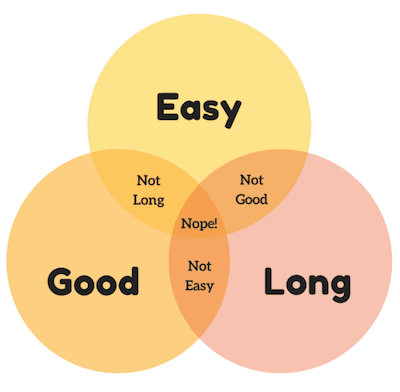 You’ll find a number of “experts” claim that certain lengths are perfect for podcasts. The problem is that’s just BS. You don’t need a 28-minute podcast because that’s the average driving time. Or under an hour because people can’t pay attention longer than that. There are 5 minutes podcasts and there are 6-hour podcasts. Find whatever works for you and run with it! What I would try to avoid is making it longer than it needs to be because you went off-topic for 15 minutes. Interview shows are popular, but that doesn’t mean you have to do one. You can do solo (or co-hosted) shows half the time and interview shows the other half. One big benefit of doing interviews is that they help a ton with getting new listeners – especially if you make it easy for your guest to share with pre-written templates and graphics. So what does a specific episode sound like? I wrote this post about podcast intros, but it has a bunch of examples of different episode formats for popular podcasts. Get creative with this part. But remember that for every episode you put out, you will have both repeat listeners and new listeners so you should try to speak to both of them. Your cover art is the first impression most people will see as they browse through Apple Podcasts or their favorite podcast app. Buzzsprout has written an excellent article about designing cover art, so I would definitely start there. If you have a little bit of a budget, I highly recommend 99 Designs to get yours created. You’ll get hundreds of different designers to produce a draft – then you can choose the ones you like to have them further refined. Music Radio Creative is the best place to get professional-quality voiceovers and intros. Having a third-party introduce you just takes your perceived value up a notch, which is a great way to stand out when first getting started. I’m a big fan of MelodyLoops for podcast music. It’s easy to search, you get a full license, and they have a bunch of different styles. Take a look at this post on royalty-free music for more options. Most people don’t need an unlimited subscription-style music service – just a song or two. It doesn’t cost a ton to get a good quality microphone. One of the most popular podcasting microphones is the Audio-Technica ATR2100-USB. 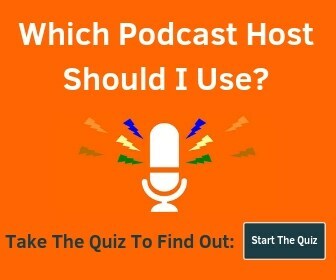 I recommend taking a look at our podcast starter kit post for more options here, especially if you plan on having a co-host or two. If you are doing an interview show, now is the time to get a list together of who you want on your podcast. Then start reaching out to them. It can help to use a service like Acuity Scheduling so people can book right on your calendar when it’s convenient for you. This saves the headache of going back and forth working out a meeting time – and means you can focus on getting more guests! Plus you can ask them for certain info like their Skype username or an intro you can read when they schedule with you. I’m going to show you how to use GarageBand for recording and editing. Other programs work similarly, and some popular options are Adobe Audition & Audacity (both work with Mac & PC). You can also check out our full post on podcast editing software. Before you get started, it will be much easier if you create a template that you can reuse every time you record. What this means is that you will have your intro & outro music already placed, space for ad spots, as well as your tracks for your voice or an interviewee. I’ll just open the template up, click File -> Save As, and save the file as my episode name (i.e. 008-episode-8-title). 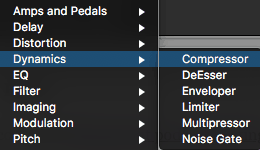 This will also keep any effects you have applied to the tracks, including compression, EQ, or anything else. I’ll show you the settings I use in the editing section below. If you have multiple hosts, you’ll need to click Track -> Configure Track Header and check Record Enable. You’ll click that button on each track you want to record, then click the big record button up top. Easy enough! Many people use Skype for recording remote interviews and the easiest way to actually record the audio (or video) is with Ecamm Call Recorder For Skype (Mac only) or Pamela (for Windows). If you want better audio quality than Skype allows or a way to have individual audio files for more than 2 people, services like Ringr are excellent. They are designed for remote recording and podcast interviews, plus they have apps so your guests can join from their phone. This also shows another template that you may want to use. The Podcast Audio track is only used for solo shows, and the Interview tracks are only used for interview shows. There are a couple things you can easily set up once (and save in your template) that will make your podcast (and your voice) sound much better. I use these settings (sometimes I’ll add more gain): Play around with them and just click the power button next to the compressor plugin to easily compare. Next we’re going to add EQ (under EQ -> Channel EQ). I’m not going to get into what all that means, but if you just do one, the low-end roll-off (on the left) will be a good start. Or you can just download my Podcast Vocal EQ settings here (.pst file on Dropbox). The last step I’d recommend is going to Auphonic to apply some normalization for loudness (LUFS), leveling, and filtering. It will also automatically add ID3 tags should you need them. I use and highly recommend Buzzsprout podcast hosting after trying several different companies over the years. Plus you’ll get a free $20 Amazon gift card after you sign up for a paid plan! Feel free to check out our complete podcast hosting guide if want to see other options, but another great choice for larger brands is Transistor. Once you’ve signed up, you’ll need to fill out some required information about your podcast (name, description, categories, etc.). If you use Buzzsprout, this process is super simple. If not, it’s possible you need to mess with things like embedding ID3 tags into your MP3. Sounds confusing and unnecessary – let’s not do that. and they’ll apply some magic processing to your file. Then you’ll need to fill out the episode title, description, summary, publish date, and episode #. If you want to use Seasons, put a “1” there, otherwise leave it blank. If you use a lot of bad words, click the explicit checkbox. Click save and repeat this step for your initial release of episodes. It’s recommended to launch a podcast with more than 1 episode so that people don’t have to wait to hear more. 3 to 5 episodes is a good number to start with. I have a separate guide on how to submit your podcast to iTunes but within Buzzsprout just click iTunes and follow the steps they’ve put together. After that, grab your podcast RSS feed and submit to other podcast directories too. Use Buzzsprout’s social sharing feature to generate teaser videos and start sharing! Buzzsprout’s built-in video soundbite creator. There are other companies that will help you generate different styles of audiograms, but having it built into your host makes it really easy to create (and it won’t cost you extra). If you want to take your promotion to the next level, I highly recommend Podcast Memes. They will create a set of at least 7 images and videos for every episode. This will save you tons of time and make it really easy to share your podcast in multiple formats for different social media platforms. Podcast hosting companies usually give you a website, but if you want to be taken seriously get yourself a separate WordPress host. For beginners, Bluehost is easily the best option (plus you’ll get a free domain name for the first year). 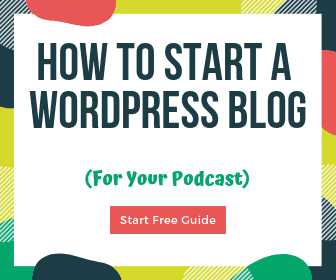 If you need a bit more guidance, start with this how to start a WordPress blog post for the initial steps. I have a list of excellent WordPress plugins that a podcaster would need too. And if you need more help, I have a course called Podcast Website LaunchPad that walks you through everything. Transcriptions are an excellent way for search engines (like Google) to “read” your podcast episodes. They also give your audience another way to look something up quickly. You don’t have to start out with them, but it’s another one of those things that will set you apart. My favorite transcription service is Scribie. Give them a try. Show notes can be transcriptions like above, a simple summary of what you talked about, or a full blog post tailored more toward reading than listening. Some people do a combination. On this site, we start with written content first and then create podcast episodes after. Grab your episode embed code and place it on your show notes page so people can listen from your website. First I want to start by saying THANK YOU for taking the time and dedication to create such a beautiful and helpful website! I have been researching everything and anything with Podcasts and quickly got overwhelmed with the abundance of information, until I came across your website and now feel at ease!! I actually just have a few questions because I am kinda confused.. I need to create a website for my podcast. As I understand, you suggest getting a hosting site for both the podcast and the WordPress website. I plan to get my official domain from namecheap and the podcast hosting from buzzsprout like you suggested. However I am confused about the WordPress part. Why must I use a separate hosting website for WordPress? Do I NEED a hosting website for WordPress? (I assume so because the podcasts will also be listed there) So the real question is, do I need a hosting website RIGHT NOW?? I found this on NameCheap, https://www.namecheap.com/hosting/shared.aspx would this be a good option to buy the domain and use as a hosting site for WordPress??? Lastly, when does the promotion for BuzzSprout end? I don’t plan on recording any podcasts til Mid-July but I definitely need this promotion!! Again, thanks a bunch and I hope you see this and respond as quickly as possible! My creative juices are flowing and I’m ready to start!! Hey Azzalea, greatly appreciate the kind words and feedback! You don’t NEED a WordPress host to start with – and if you’re just getting started it’s probably best to not worry about that part yet. You will upload your audio files to Buzzsprout – and they provide you with a basic website (as well as everything you need to publish your podcast). You can see an example here. The good news is you can always add a WordPress site later if/when you decide you want more customization & features as far as your website is concerned. What tips do you have for on the go recording using your mobile device? For example while you are out walking with a friend. What app would you recommend? what mic would you recommend? Hey Jeff, there are a quite a few different options for mobile recording. To start with, here is an article on iPhone mics & Android mics. If you’re walking I think lavalier mics are probably the best choice. Rode also recently came out with this nice dual lavalier mic kit for iPhone. They have a companion app called Rode Reporter that will let you save separate tracks, adjust gain, etc. If you’re walking you might run into issues with cord length, but you can get extensions. 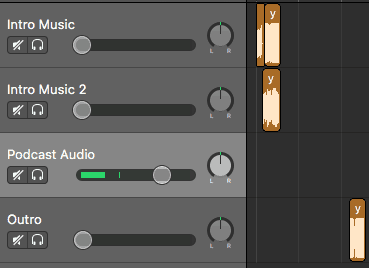 It may make more sense to record separately and combine the audio files later.